If you are considering purchasing your first hot tub, you likely have a lot of questions. Thankfully, the experienced professionals at Aqua Spas and Pools are available to answer your questions about hot tubs. You can also review some of the most common questions we hear listed below. Prices are often not displayed on manufacturers’ websites for hot tubs. It is not because prices are secret, but prices vary quite a bit depending on the features you would like in your hot tub. It is often easier to speak with a representative and describe exactly what you want to price it out. Design, size, features, engineering, and overall quality will also affect the price. As a rule, you can expect hot tub prices to range from about $3000 to up to $16,000. 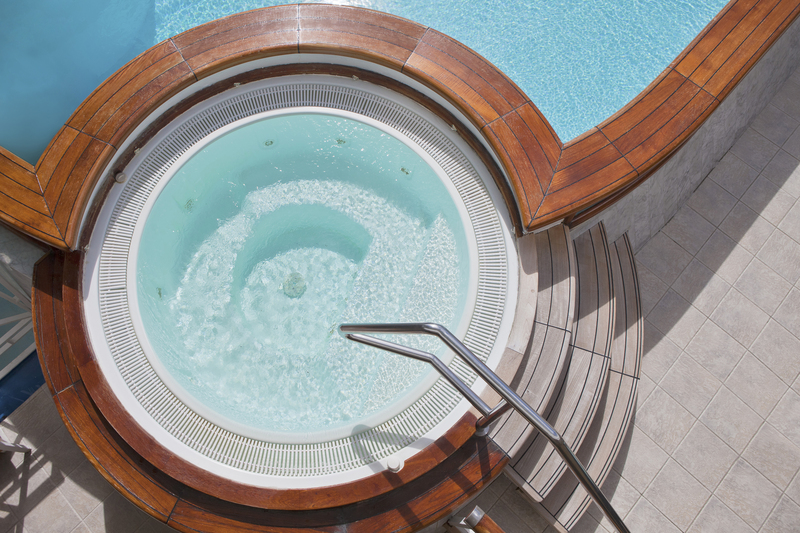 How much maintenance does a hot tub require? Your hot tub will require regular maintenance. However, it may not be as much as you might think. Advances in technology have significantly reduced the labor involved in maintaining a hot tub. The required maintenance will vary depending on the type of hot tub you have. For example, synthetic wood hot tub cabinets may require a simple hose down periodically, but otherwise, regular maintenance is minimal. You need to care for your hot tub water and filters, but this process can be completed in about 20 minutes per month and you can even get it taken care of by the experts at Aqua Spas and Pools. How do I install a hot tub? There can be some challenges if getting to the location where you would like to set the hot tub is difficult. For the 110V hot tub, you can simply plug it in and use it as soon as the water is ready. For 220V hot tubs, you may need to work with an electrician to ensure you have correct power to the spa. Always consult a professional for hot tub installations and hot tub repair. What kind of water and plumbing do I need? Hot tubs do not require any formal plumbing. Instead, they are self-contained and use circulation equipment and filters to self-sustain. In most situations, you will only need to drain and refill the hot some a few times per year. Filling the hot tub for the first time requires only a garden hose! What type of water maintenance is necessary? Hot tubs require a water sanitizer to maintain safe and healthy water. Chlorine is the most popular water sanitizer, but the smell can be unpleasant. Depending on the type of sanitizer you use, you will need to regularly check the water levels to ensure proper saturation and chemical balance. You may also need to shock the hot tub periodically to curb bacteria growth. These terms are often used interchangeably, but they actually represent different products. A spa is generally built into the ground and is often attached to an inground pool. A hot tub is an above-ground, portable spa. Hot tub spas, hot tubs, or spas all do the same thing. What are the ongoing costs of keeping a hot tub? Now that you know the regular maintenance that is required, you may wonder how much that maintenance may cost. Of course, the price will vary depending on the type of hot tub or spa you have and if you have hot tub heaters. It will also vary based on how much you use your hot tub. Energy efficiency is an important consideration when choosing a hot tub to cut down on regular costs. Traditional water maintenance, including chemicals, often runs about $20 per month. Talking to one of our experienced professionals is the best way to get more information for your unique hot tub needs. We are here to help with any hot tub troubleshooting questions you may have. You can contact our team at Aqua Spas and Pools by calling 877-775-3442 or visiting our website. Hot tub costs range from $3,000 to about $16,000. Maintenance requirements will vary depending on the tub. Installation is easy as long as you have flat ground and access to your chosen location. Hot tubs do not need any additional plumbing, but you will need to do regular water maintenance. Get more information by contacting Aqua Spas and Pools: 877-775-3442.